Kshar Sutra is a sanskit word which is a combination of two words, kshar and sutra. Kshar means caustic and sutra means thread. 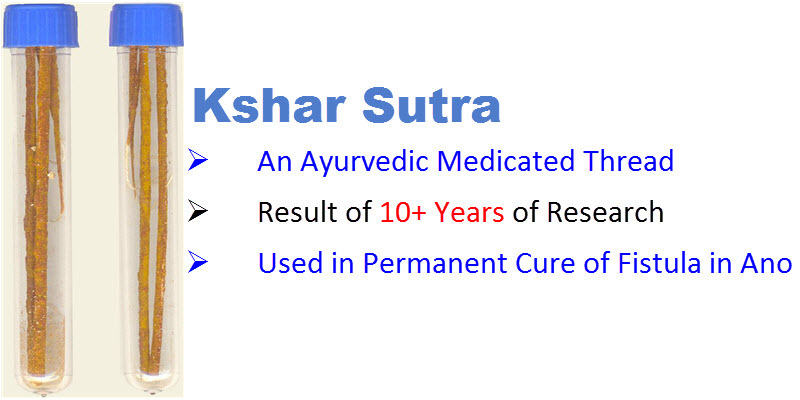 Caustic in the kshar sutra eliminates eryptic glands completely which prevents re-occurrence of disease, which main benefits of kshar sutra method of therapy. Kshar-sutra therapy does not require hospitalization and treament cost is very low. Additionally this method of therapy is non-operative so permanent cure of fistula is without surgery.